 That’s what this field needs. 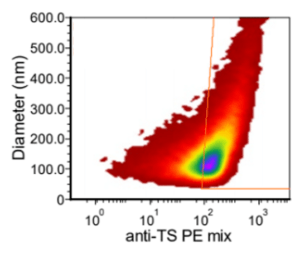 Whether you call them exosomes, microvesicles, or EVs, you know everyone studying these tiny particles suffers from inconsistent, poorly characterized methods. 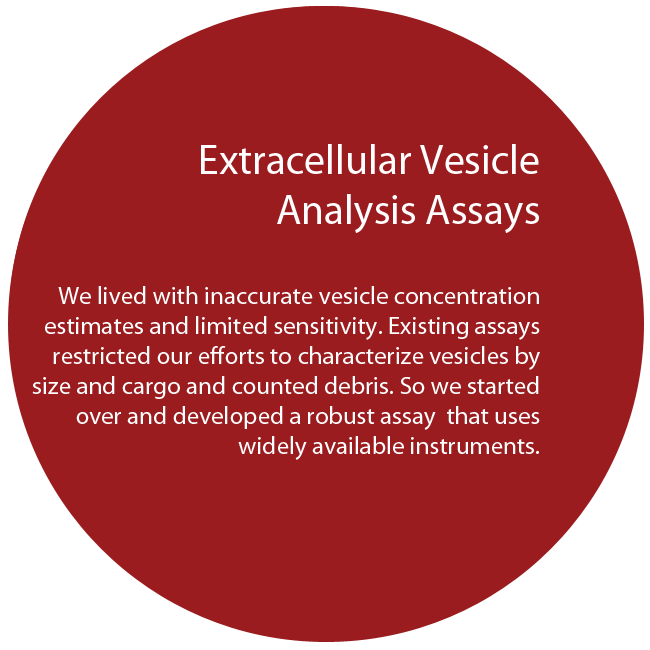 Our standards, reference samples, and assays are over-engineered to ensure measurements across samples and across vesicle research labs can be directly compared. 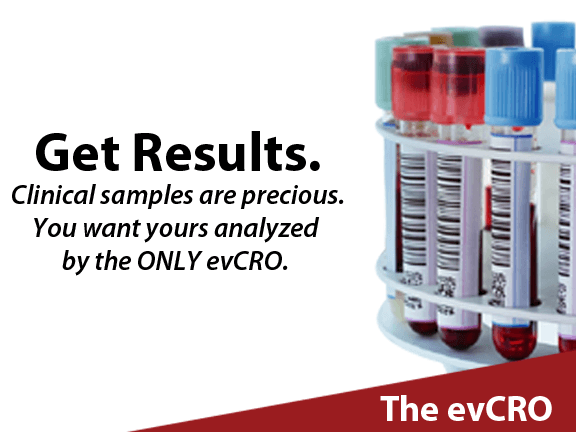 To support appropriately run analyses and generation of reproducible data that can be compared across labs and time, we provide multiple standards for incorporation into your EV characterization workflow. 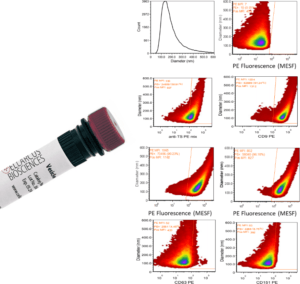 Each standard is designed an manufactured to be relevant to EVs in size and fluorescence intensity. 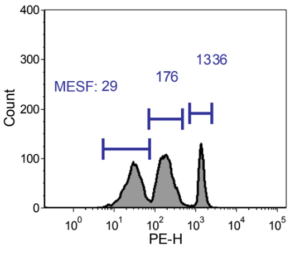 They are validated using multiple orthogonal methods consistent with the latest guidelines for vesicle analysis. 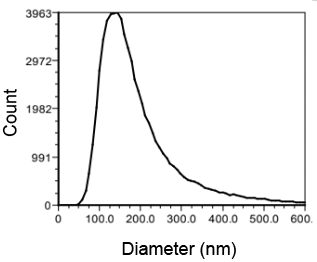 Measurements of each lot include concentration, size, surface markers or fluorescence intensity, and other product specific parameters to ensure reliable performance. 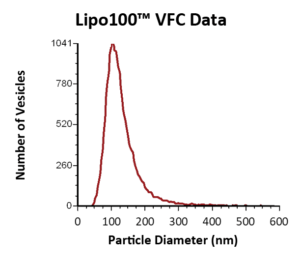 Determine size distribution and vesicle concentration for vesicles down to 70nm in a standardized no-wash vFC™ assay. 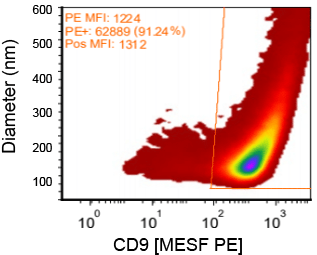 vFC™ is cross-validated against multiple orthogonal methods to satisfy MISEV requirements. 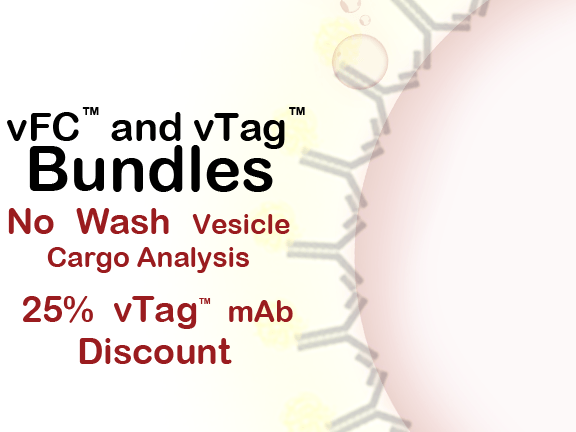 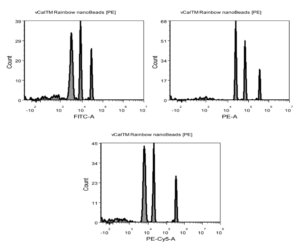 vTag™ antibodies are optimized for performance in vFC™. 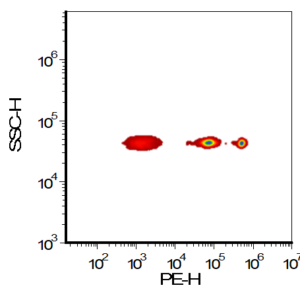 They are formulated for no-wash, high sensitivity detection of EV surface proteins down to 25 molecules per vesicle.